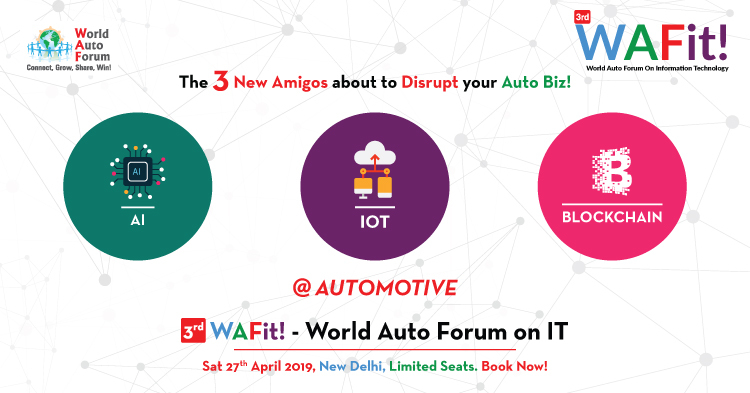 World Auto Forum ( WAF) is the global automotive think tank and networking platform which now connects the Auto Industry in 125 Countries. 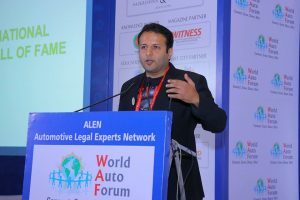 WAF creates engagements for meeting of people, meeting of minds to foster global Automotive Trade, Business and Innovation. 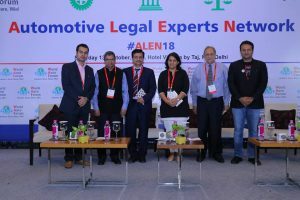 ALEN saw the Leading General Counsels from Top Auto Co’s, Leading Lawyers of Top Law Firms, experts from Industry & Academia get together. 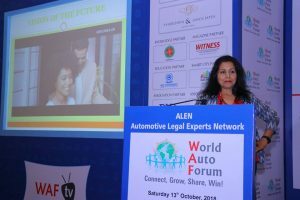 Manjaree Chowdhary, General Counsel, Maruti Suzuki India gave an engaging Keynote address titled “GC – The First Go To Person of the CEO”. She also discussed the important role the GC plays in the fast changing & dynamic environment like Automotive. 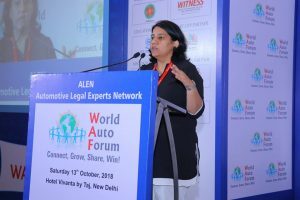 Garima Sahney, Partner SaiKrishna & associates mentioned,”ALEN is first of its kinds in the Automotive Sector. 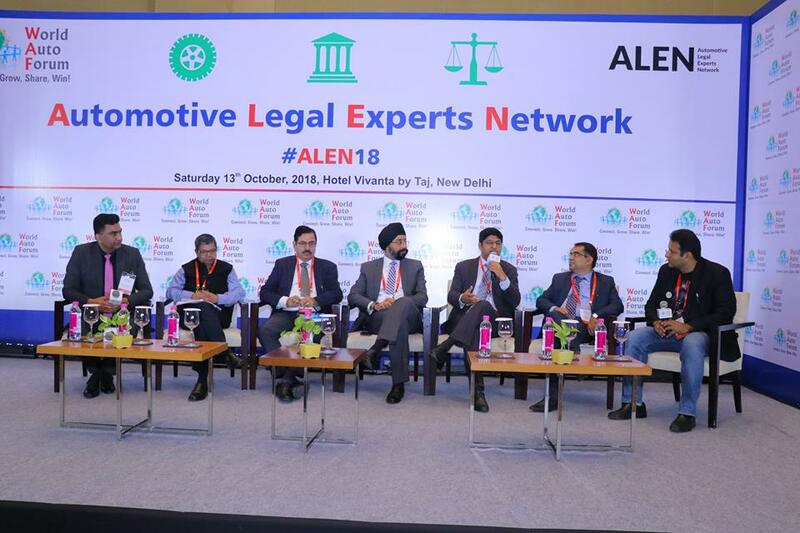 An initiative like this was much needed to bring closer and to initiate a dialogue amongst the industry stakeholders as automotive sector gets disrupted due to market conditions, intersecting technologies & digitisation. 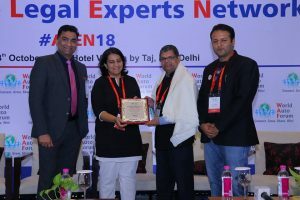 “A need of the hour theme and event . 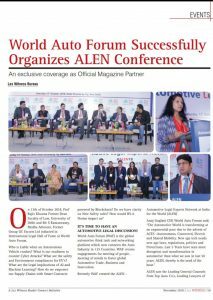 Wonderful platform for Auto Professionals and Opinion makers to contribute and make the world a better place to live. 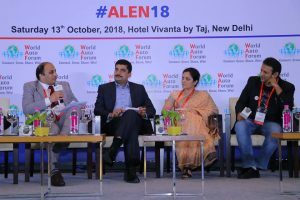 Kudos to Anuj to start this initiative”, Said S.Ramaswamy Founder Medha Advisors & Former Group GC Escorts ltd .
Dr Akhil Prasad, India Country Counsel and Company Secretary – Boeing gave a Keynote address which also metamorphosed into an interactive session with audience. He drew brilliant parallels between Automotive and Aerospace for Role of a GC. 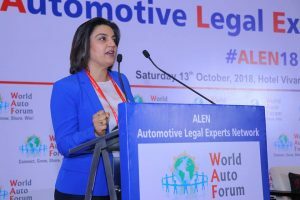 Nandita Khurana Zone Head- Legal | Africa India Middle- East (AIM) Director Public Affairs & Govt Relations – India , Michelin in her keynote address gave a ring side view on Sustainable Mobility with an Overview on Regulations & Global Commitments and Focus on Tyre Industry. 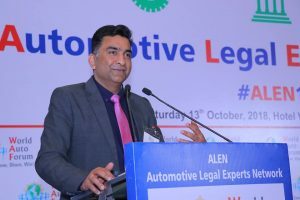 Dr Sanjeev Gemawat, Executive Director & Group GC, Dalmia Group said, “The automobile industry is an indicator of economic development of any country. 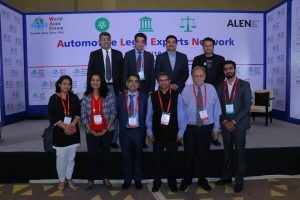 However, the industry today faces a wide range of issues and challenges, ranging from supply chain, liability and IP matters to challenges posed by disruptive technology, such as connectivity, autonomous driving and e-mobility. 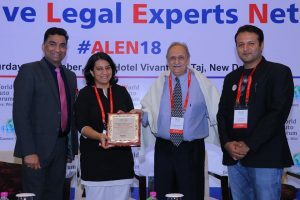 In this backdrop, Mr. Anuj Guglani and team WAF deserve all compliments and accolade for brining all legal and regulatory professionals to a common platform. 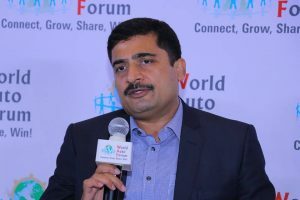 Yogesh Wadhwa, Alliance GC, Renault Nissan spoke on Managing Risk and Compliances for Mega Alliances which are common in the Automotive world. He compared managing compliances to the Commuter behaviour at Traffic Lights on the lighter side. 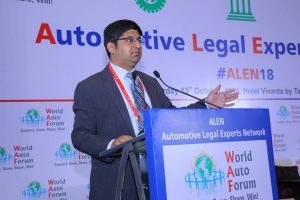 There were Power Panels and KeyNote Addresses by the Best Think tanks in the Legal and Automotive world. There were intense discussions on Fast Evolving Regulatory Landscape in Automotive : CCI, New Safety Rules. 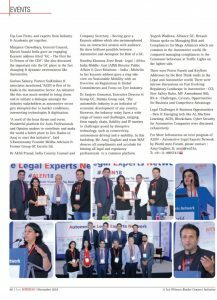 MV Amendment Bill, BS-6 : Challenges, Caveats, Opportunities for Business and Competitive Advantage.